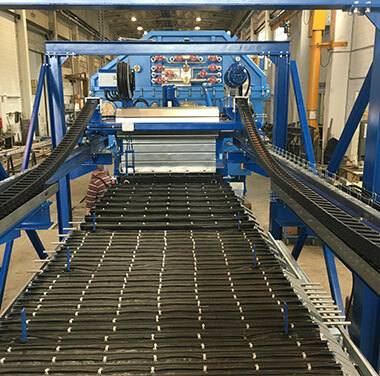 Filterpresses can be both manual and automatic and can be made using various materials such as painted carbon steel. In these cases, special coatings are applied for highly corrosive environments such as the marine environment. 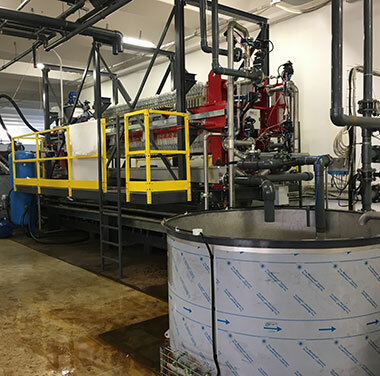 Filterpresses are available in various models and configurations depending on customer requirements. Filters range from 400×400 to 2000×2000, depending on the size of the plate. We can produce machines either side beam or over beam. All filters are made of painted carbon steel, stainless steel AISI 304 or AISI 316. Normally, the construction of the plates is PPAD, but any other plastic material can be provided for full compatibility with the product and the filtration temperature. AISI 304 or 316 stainless steel, aluminum alloys, cast iron are other construction materials for the plates. Plastic materials including PP, aluminum alloy, cast iron or stainless steel AISI 304 or 316 can be used as construction materials of the filtering plates. Using all these options, any construction variant can be used to meet any need in the event of corrosion, temperature or other problems. All the filters are built in accordance with the strictest accident prevention regulations and can also be constructed in accordance with ATEX standards. Filters can be used in a wide range of industries: industrial and civil applications, mining and mining, applications in the chemical and pharmaceutical industries.